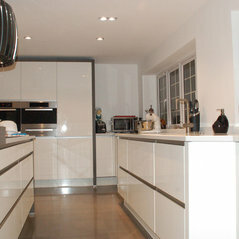 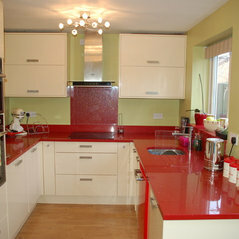 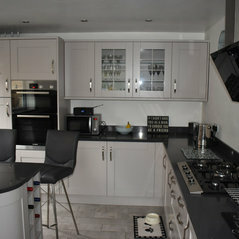 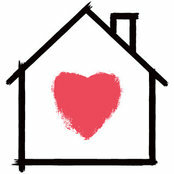 My aim is to give customers a free choice on design and style of their new kitchen or bedroom. 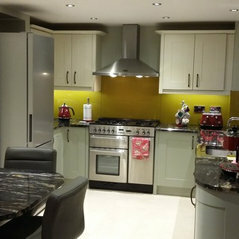 We don't tie ourselves to any one supplier so can source standard and bespoke size cabinets and doors from a vast range of colours and styles, from traditional country style kitchens in solid wood, to modern handleless kitchens using materials such as, acrylic faced doors, lacquered doors, coloured glass faced doors and stone veneered faced doors. 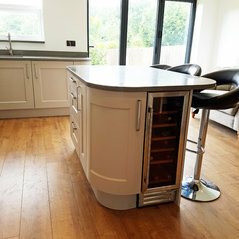 Combine this with worktops ranging from standard laminate through to Corian, Silestone, granite and Dekton, we hope to achieve the perfect look for our customers. 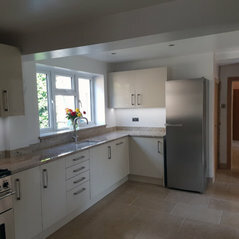 Commented: POLL: shaker style kitchen vs Modern KitchenWe find shakers still popular if painted, not many wood shakers around, but the handleless modern kitchen in both gloss and matt are very popular.